Yes, pickleball is in Thailand. This was my first journey to this unique and beautiful area. I was there with Daniel Moore of Pickleball Trips for their first (love those firsts) Exotic Thailand Pickleball Tour. While there, our tour was fortunate to compete in Thailand’s FIRST inaugural international pickleball tournament—yep another first! The 3-day Thailand Open Pickleball Tournament took place in the beach city of Hua Hin. Wow, our sport is really growing. As I travel, I’m constantly amazed where pickleball surfaces. With us were a group of enthusiastic and adventurous pickleball players for nine days of fun and adventure. It’s said that the best time to visit Thailand is during their dry season, November through April, as the temperatures are cooler and you can expect picture-perfect days for your outdoor adventures. Brandon and I pose in the middle of the beautiful Thai classical dancers. Daniel Moore and I have a pit stop with the tour at one of the many 7 Elevens – we are traveling in a tuk-tuk. Tournament players came from numerous Thailand provinces, Singapore, USA, Canada, England, Scotland, and Denmark. The tournament consisted of 84 doubles teams and 32 singles players. The youngest player was 20 years old from Bangkok and oldest was 76 from Texas, USA. Tournament director and friend Elaine Shallcross did a fabulous job organizing and running her first big tournament. Elaine has called Hua Hin home for most of the last 7 years. As I was reminded, tournament directors work hard putting in countless hours for the love of the sport allowing players to compete on a big stage. In this case, many Asia players got their first experience in a pickleball tournament, and they did great! Here are some of the tournament participants. All ready to go! Here we did a great hike along the coastal park before ascending to a great beach on the other side. Some made the arduous hike up an even steeper trek to visit the Phraya Nakhon Cave while others had time to swim and relax. Then, we ate again before taking a boat ride in a traditional Thai boat back to our starting point. Good times! Under the careful watch and direction of our cooking teacher, I was a master in the kitchen, ha! The menu included Thai coconut soup, pad thai with shrimp, Green curry with chicken and topped off with dessert—Mangos with sticky rice, OMG, all so good!! Prior to cooking, we took a walk through their gardens to learn first-hand about the plants and herbs we would be using. This day trip was better than I ever imagined. It started off with a hike through a Karen village, lunch and a dip at a waterfall, a bamboo raft ride down a river and then the encore! The group got up close with the elephants. After feeding them buckets of bananas we walked side by side around the park finishing in the river to bathe them. And yes, they surprise bathed us with trunks full of water. The elephants were well treated and trained. They understood numerous voice commands, could kiss (with the end of their trunk) and among other things hug and smile for the camera. Festive food stands lined side by side as far as the eyes could see. So many choices and I did try many of them, but because I am a bit of a wimp with spicy food, I said: “little, little spicy” and they would smile and oblige, thank goodness! “Thai spicy” is a whole new level of HOT. The markets were packed with tourists and locals alike and went on late into the evening. And did I mention the food was great and cheap? If you venture into a truly Thai market void of tourists, you can eat like a king for just a few dollars. My wonderful new friends from the Exotic Thailand Pickleball Tour. Its Jackie from FL. Do you have travel details about the trip. Maybe Gary and I will go, vacationing and play. Hello Jackie, yes, check out the details of Pickleball Trips next journey to Thailand with Daniel. 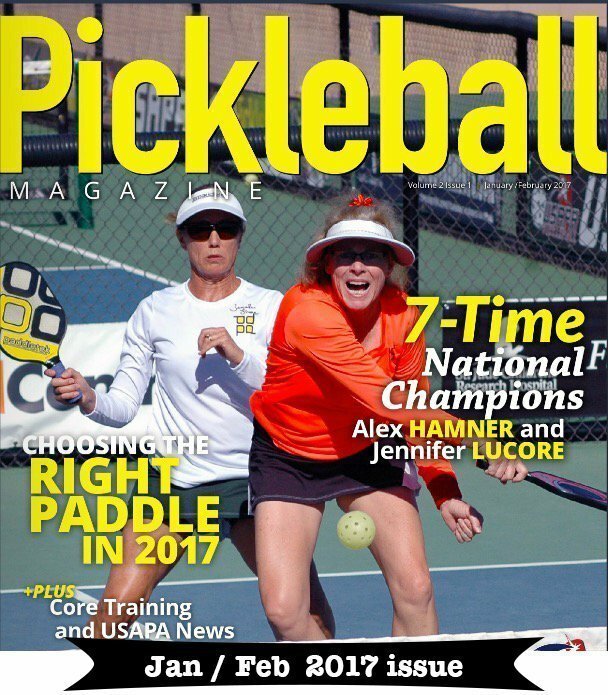 http://www.pickleballtrips.com Enjoy! Jackie – My husband and I were on this trip…it exceeded our expectations! The country, the people, the FOOD and the meticulous planning that went into this trip were outstanding! The pickleball was fun, the coaching great, and we really felt like we’d gotten a wonderful overview of the country and its people. Daniel, Jen and Brandon, were wonderful and such fun! Luv it, Jen. Awesome place. Looking forward to connecting with you at Bainbridge this summer. I am so glad you enjoyed Thailand (my home country). 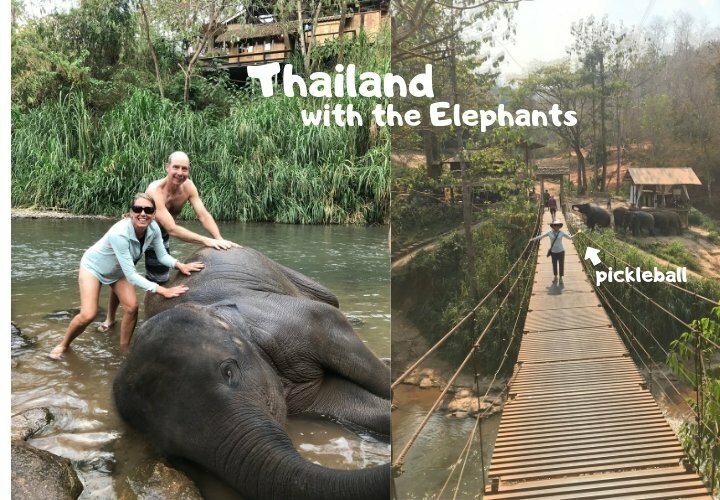 Your blog truly captured the spirit of Thailand and the adventure you experienced. Just an added note, Santisuk English school in Bangkok has open play on the weekend only due to the space is used as parking lot during the weekday/school day. I did play there on Sunday before I left and the players are average 3.5-4.0 skill level and they do speak English and calling score in English. We had fun. See you in So Cal soon. Thanks for the additional info Somchai 🙂 Yes, your country is a special place. Hope to see you soon in Southern CA. Jennifer, thanks for sharing this blog. The pictures look amazing. We had planned to join you & Daniel for this Thailand Trip and we weren’t able to this year, but we are looking forward to joining you both next year. Debi, you gals were missed on this one. I actually thought you were on the trip up until a month prior when I reviewed the guest list. Let’s try to get us all together for play and food soon! Great post Jennifer! Thanks for sharing. Oh Jennifer that looks so amazing! Thailand is on my bucket list to travel to! I have wanted to go there as long as I can remember!! I am envious that you got to go there with Daniel and play with the elephants, looks so cool! What an experience of a lifetime!! Need to sell more Jolts and go with you guys!! Would you be my WD partner haheeee. Love your Gutz! Hello Jennifer and thank you for sending these great photos ! Wish I had started playing 30 years ago. Started on July 6, 2017. 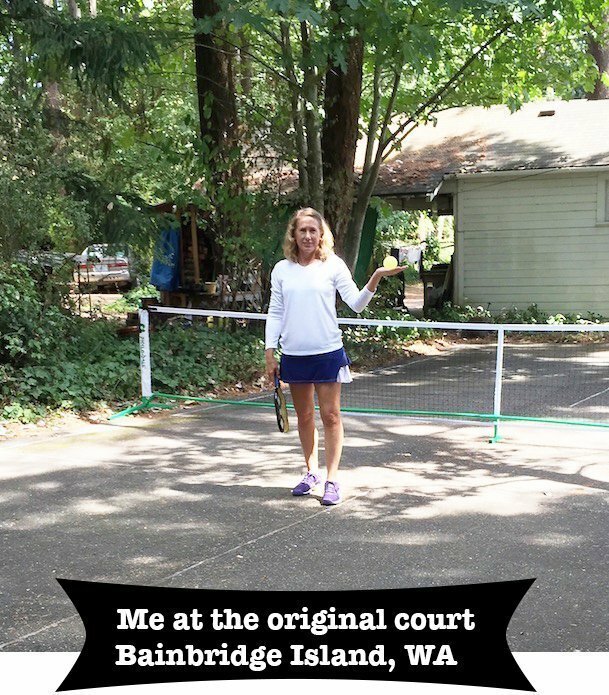 I meet many people and tell them I play Pickleball. They say what’s that? I only discovered the game in 2017. What I have missed over the years. Great that you have all these beautiful travels and great tournaments. Play well in Naples @ the Open!! 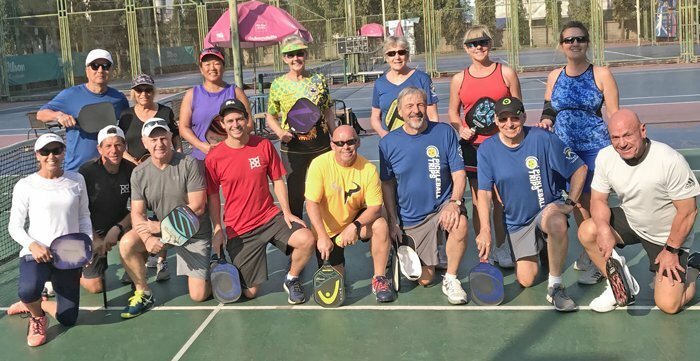 Hi Jennifer, What a nice recap of our Thailand pickleball trip! Gerard and I feel very privileged to have had an opportunity to travel to this beautiful country with this fellow group of passionate and obsessed picklers! The people of Thailand are some of the most kind, lovely and sweet natured people we have ever met! What a dream trip to visit such an exotic country and experience all that we experienced as well as getting in some pickleball. Thanks to you and Brandon for sharing the hundreds of pictures with us from this trip. It was a great balance of learning all about Thailand, it’s people, it’s culture, it’s food and having an opportunity to play in the first ever Hua Hin Thailand Pickleball Tournament. It was a joy to have met so many enthusiastic players from so many countries and that pickleball really brought us all together. Also want to give you a big THANK-YOU for all your help, tips and advice on how to improve our game. You are so down to earth, approachable and really caring about each person in the group. From our pickleball clinics on this tour, you really spent a good amount of time in making personal assessments for each of us. Off the court, you are just as kind, personable and so much fun! I am sure our paths will cross again in this pickleball world! Thank you for sharing all your information from your website Allpickleball. We look forward to continuing reading your blogs! WOW! Helen, those are such kind words – thank you very much from Brandon and I 🙂 You are so welcome, let’s do it again!! Jennifer, speaking of “Firsts” It was a pleasure meeting and getting to know you and Brandon in Thailand for the “first time ever”. You were a great host, assisting Daniel Moore on our entire trip. As your Blog explains very plainly, it was a great trip and hard to put in words and pictures without experiencing it yourself. Hoping everyone reading will some day get to go to Thailand. We miss it (and you) already! Hey Picklers all. Reaching out to Daniel San for outstanding travels, tips, and pics/stories from afar. Thanks for keeping us in the loop. You too Jennifer! Refreshing to hear about all these events in Asia also.